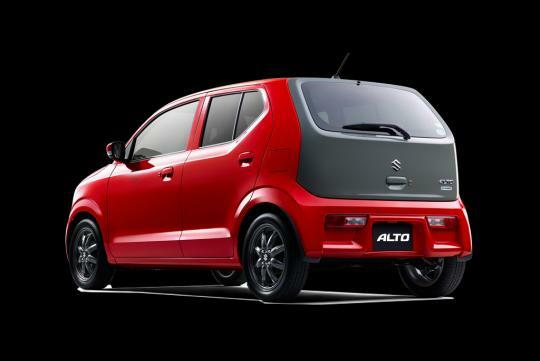 Suzuki has launched its new eight-generation Alto Kei-class car in Japan and claims to be the most fuel efficient non-hybrid vehicle in Japan. 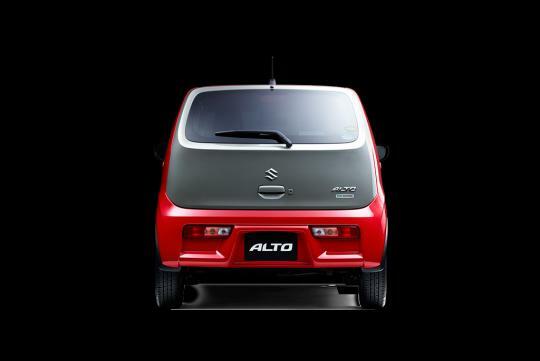 Based on a new platform which allows it save up to 60kg in weight, the Alto is able to achieve an eye-watering 37km/L in fuel consumption. In comparison, the Toyota Prius hybrid does 32.6km/L in the same japanese JC08 cycle fuel consumption test. The reason for the amazing figure is due to the extremely light weight of the car, which tips the scale at just 610kg. This is achieved when specced using the base two-wheel drive variant and pairing it up with a five-speed manual transmission. Other mechanical changes that contribute to its ability to sip little amounts of fuel include the integration of the cylinder head with the exhaust manifold and a simplified catalytic converter. 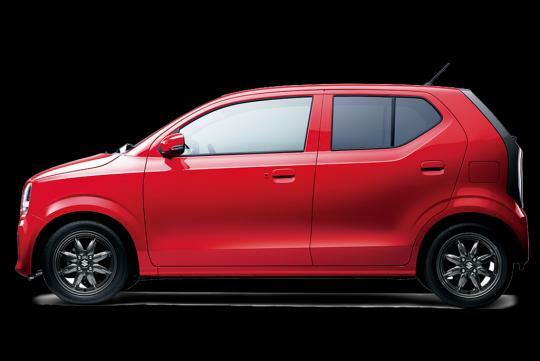 The CVT automatic transmisson has also been improved for efficiency while elsewhere, the suspension frame has been made into a flat structure, and thereby making it a part of the body frame which in turn increases the body rigidity and additional weight saving. 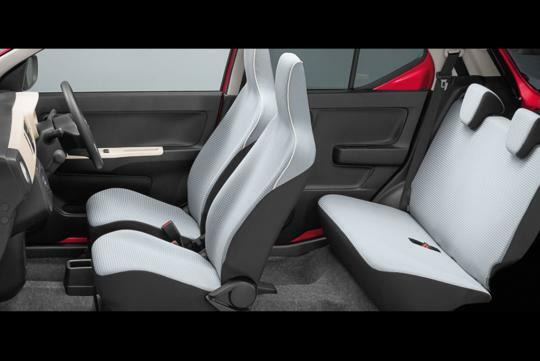 Inside, the Alto is said to be spacious and is blessed with the longest cabin length in its class at 2,040mm. 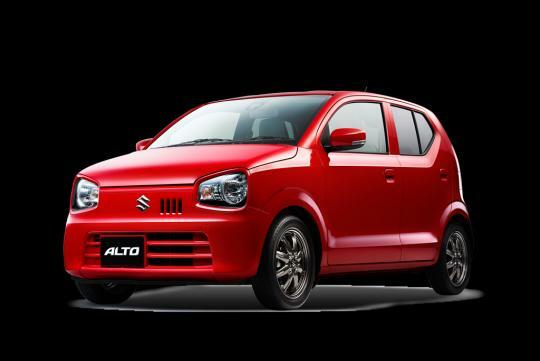 Suzuki has also focused its effort in safety and has equipped the Alto with some big-car features including the Radar Brake Support and in selected models, a linked Collision Mitigation Brake System that communicates with the aforementioned system. Stability control is standard on most of the variants. 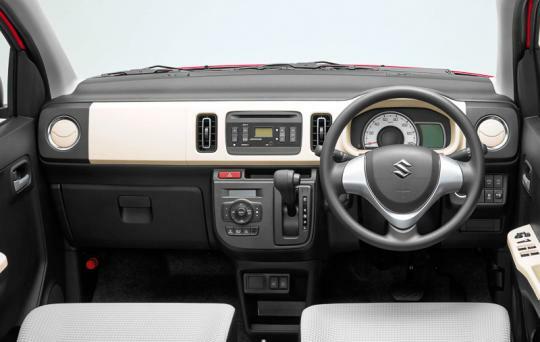 On the topic of variants, the Suzuki can be had in both 2WD or 4WD versions. Offered in both turbocharged and non-turbocharged configurations, the three cylinder 0.66-litre engine can be mated to either a five-speed manual, a CVT automatic or an automated manual transmission. Simple yet nice. Some basic design norm given a twist like no front grill, Matt black tailgate n rear lighting arrangement.